I feel like it's been forever since I posted a real home DIY project - probably since before Knox was born. 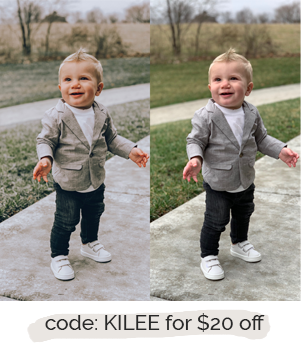 And I knew that would happen, which is why I did so many while I was pregnant, but now that Knox is older and Soren is working from home, we've been knocking a few projects off the list. 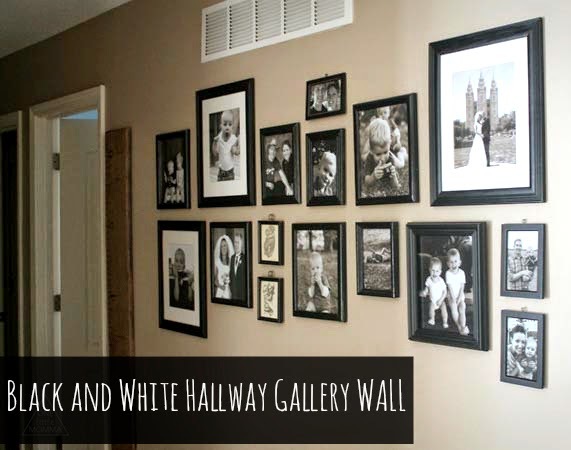 Today I'm sharing one of my favorite parts of my home: my black and white hallway gallery wall. To be honest, I saw a similar gallery wall on Pinterest years a few years ago and loved it so much I wanted to recreate it. (Sorry, I can't find the original source!) We made it our own a bit and it really was a simple project except for the hanging - this one was somewhat of a nightmare for my husband to hang (aren't they all though?). 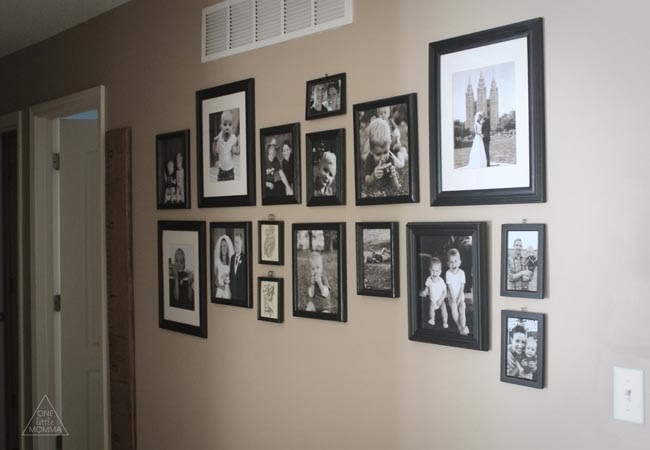 To recreate this project, you will need to gather many, many different sized frames. I purchased most of mine from the thrift store, but you can buy them new as well. Next, lay them all out so that there is a straight horizontal line through the middle of the two rows and move the frames around until you like the balance. I liked the somewhat symmetrical up and down negative space above the below the gallery, but it took a lot of adjusting the frames to find the right balance. You can buy frames in black from the start or spray paint all of the frames black. Because I thrifted my frames, I used whatever black spray paint I had on hand to paint them. 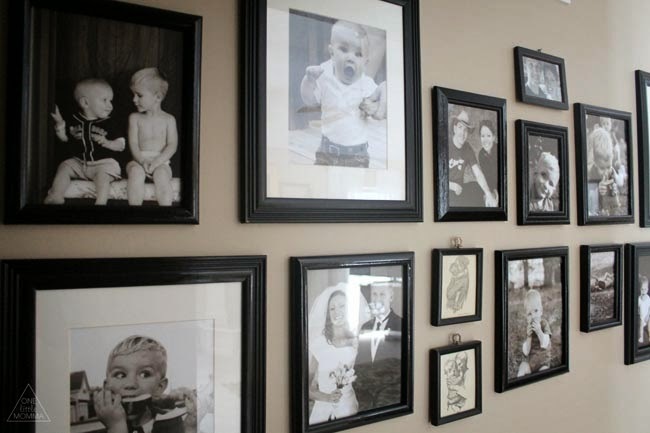 I then had prints made in black and white - mostly of candid shots of our family - and inserted them into each frame. To hang, Soren started with the bottom row. 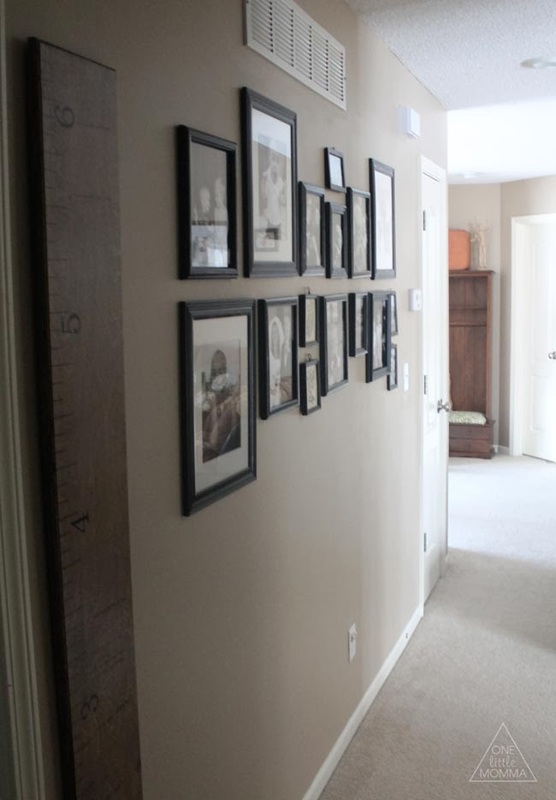 He used a long ruler and a level to hang the top of each frame in the same horizontal line. He then used the straight line created by the bottom level to hang the top. The bottom of each frame on the top row also needed to form a horizontal line. It was pretty tricky and involved many measurements and some eyeballing, but he did a great job! I really love how this project has added character to our home. The line down the middle of the rows and the monochromatic colors really fills the space in an unexpected way! I wish it photographed better (the lighting is difficult at all times of day), but I think you can get a pretty good idea of the look. Let me know if you have questions in the comments. 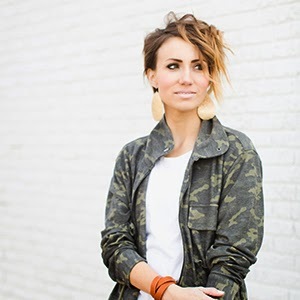 I hope this inspires you with an easy, relatively inexpensive idea for a new gallery wall in your home! Love a good gallery wall, & this turned out great! Love the black & white photos inside!